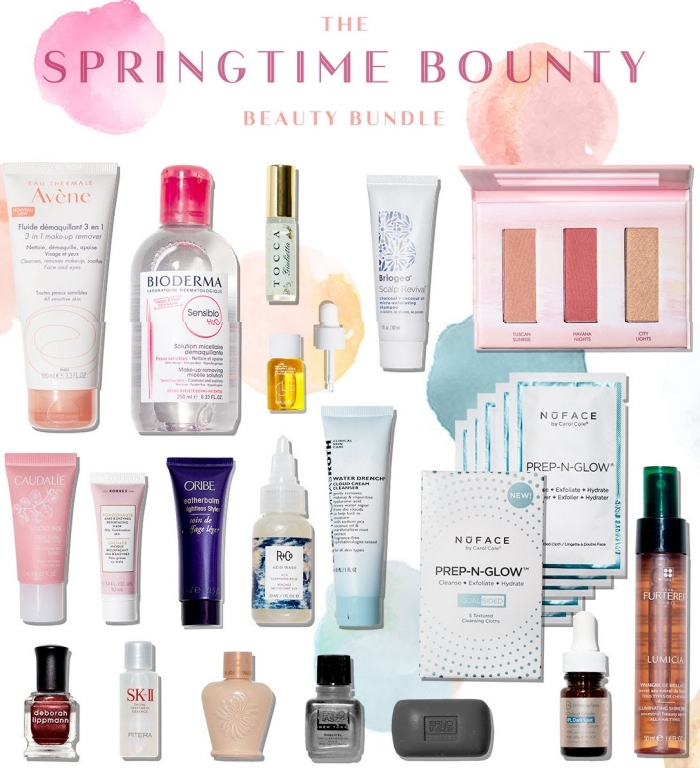 B-Glowing's Springtime Bounty Beauty Bundle 2019 is a MAMMOTH gift with purchase that is available worldwide, including full-sized Bioderma, a full-size Wander Beauty palette, and lots more. For those in the new, B-Glowing is a US-based beauty retailer who ships worldwide. They carry IT Cosmetics, By Terry, Artis, and a bunch of other top brands. They do regular GWPs, but this one is easily their best till date. It's certainly raining GWPs right now. Space NK's Spring Beauty Edit - see deets here - is also now available worldwide. This gift with purchase is available FREE upon purchase of products worth $200 from B-Glowing here; no need of any code. They ship worldwide. Scroll down for the contents of the B-Glowing Springtime Bounty Beauty Bundle 2019. 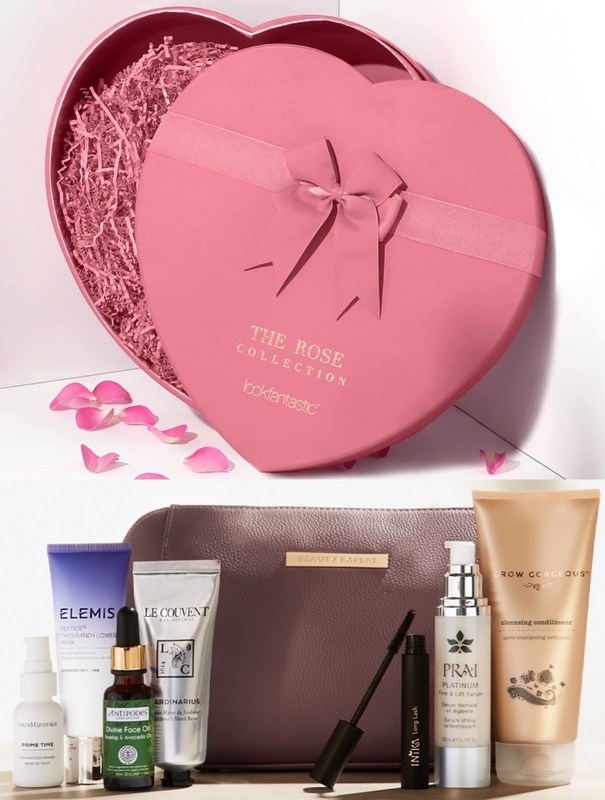 Space NK Spring Beauty Edit GWP Available Worldwide From 13 March! 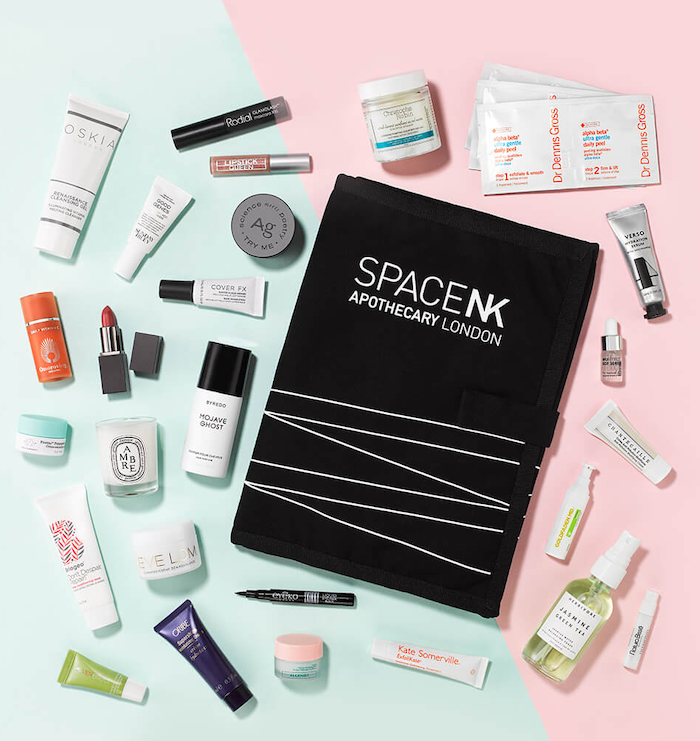 Space NK's Spring Beauty Edit for 2019 launched a little later this year - usually they have theirs in late February; this time's gift with purchase comes by the end of the first week of March. They accidentally launched a little too early, owing to some glitch, on the 6th of March, and then the offer was taken down within about half an hour - by which time some people ended up buying it! Space NK then confirmed on Instagram that the GWP would launch about a week later, and everyone would get theirs at around the same time. This is a free gift of 27 products that you get when you purchase products on their website for £175. It comes with a makeup mat, a Diptyque candle, the new Omorovicza Vitamin C, and more. But all that in a minute. Get yours here - use code BEAUTY19 at checkout. 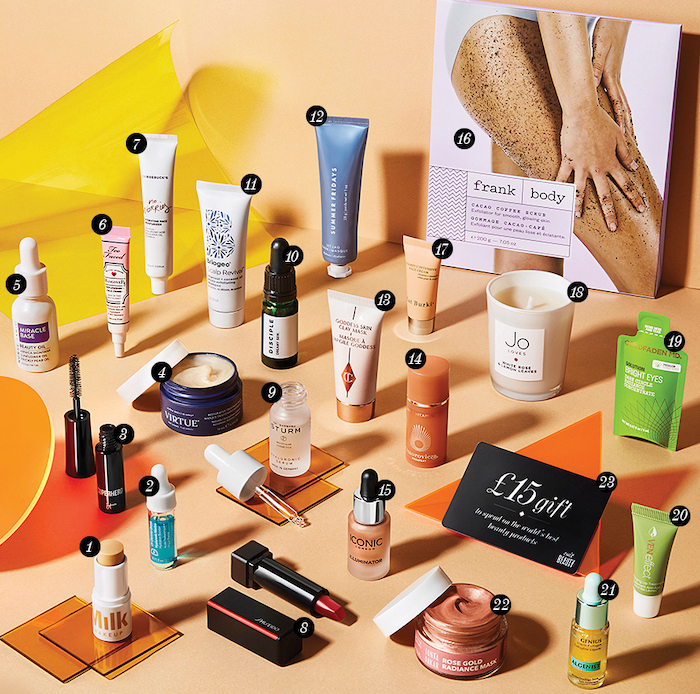 Scroll down for the contents of the Space NK Spring Beauty Edit 2019. The first big gift with purchase of 2019 is here, and it is from Cult Beauty. The set is a 23-piece collection of products from "industry leaders worldwide", and comes with a £15 gift card (right in time for my birthday, haha). The whole thing is worth more than £350, and is yours free with purchase of products worth £175. VIPs (customers who have spent £500+ in a calendar year on the website) get early access with code FOUNDERS19. All customers get access from Monday, 25 February, without any code, upon adding products worth £175 in your cart. The products included cover makeup - there's a Shiseido lipstick in there, people - skincare, hair care, and bath and body, and there's a variety of new brands, not the usual suspects. I'll tell you what's inside the goody bag, and what I'm buying! Scroll down for the contents of the Cult Beauty Founders' Goody Bag GWP for Spring 2019.